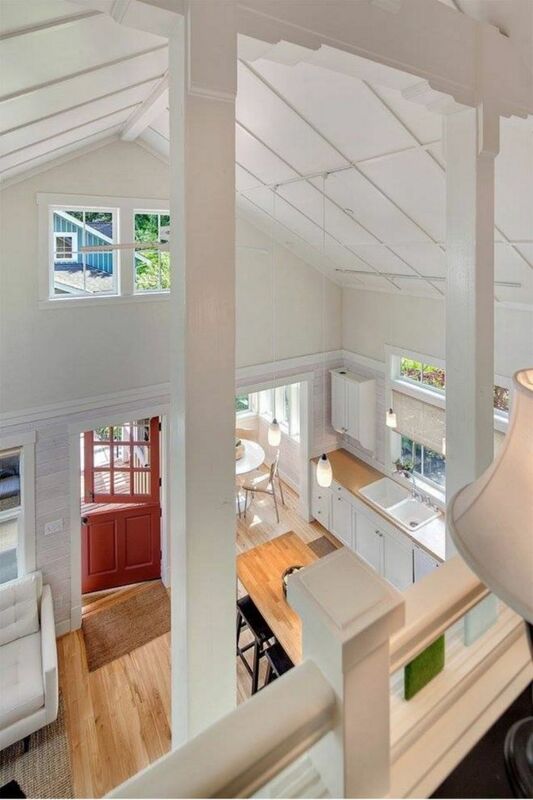 The Cottage Company based in the Pacific Northwest is dedicated to "building pocket neighborhood communities of compact homes" that are functional, attractive, and sustainable. 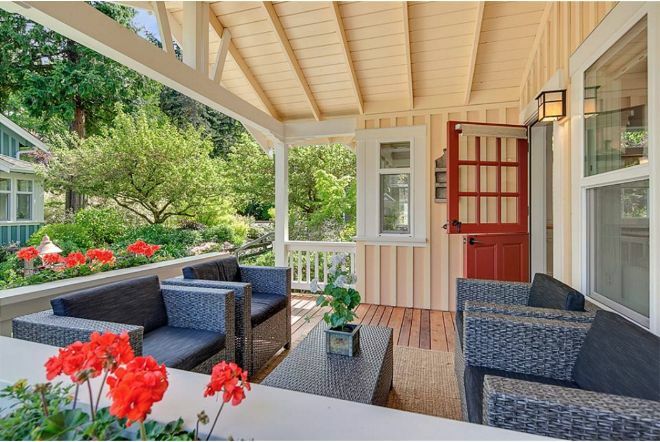 The stunning Kvale Hytte Cottage is just one example of how to live large regardless of square footage. 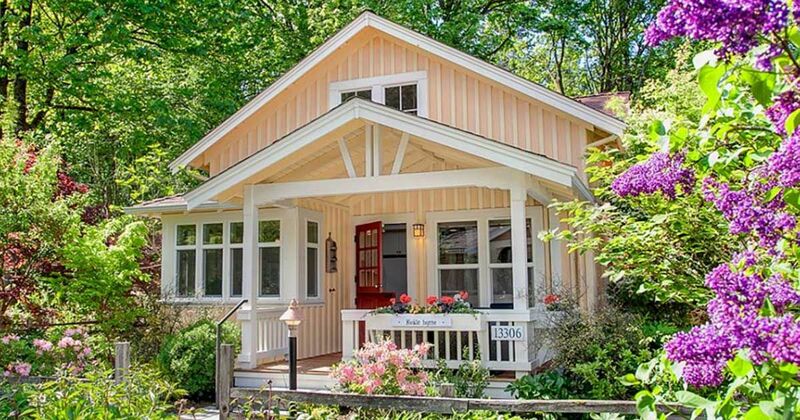 According to the cottage's page, the community in which this tiny home was built is one of the most pleasant places to live, earning NAHB Builders Choice Grand & Merit Awards and the AIA 2009 National Housing Award. The surrounding flora and the nearly 5-acre permanently-preserved woodlands makes this cottage look like something out of a fairy tale. 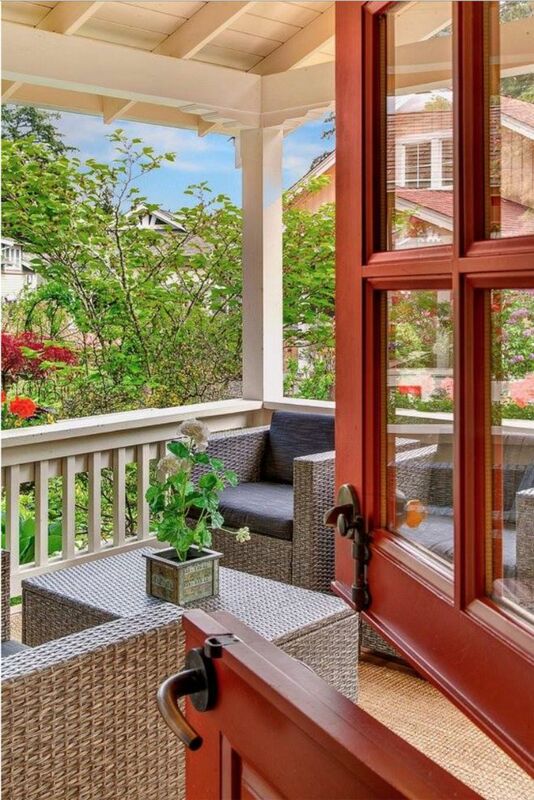 Additionally, the porch is well-suited to hosting intimate conversations while still enjoying the outdoors. The spacious interior is positively breathtaking, what with the high ceilings and multitude of windows to let the light in. 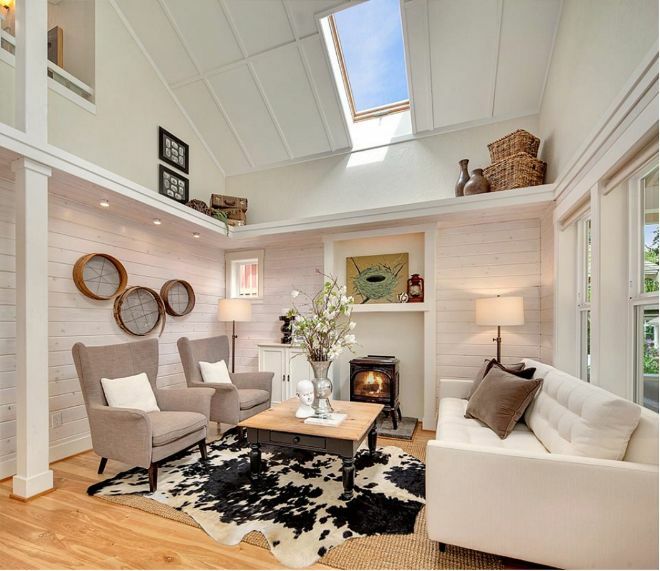 The living room even contains a skylight for an extra dose of airiness. 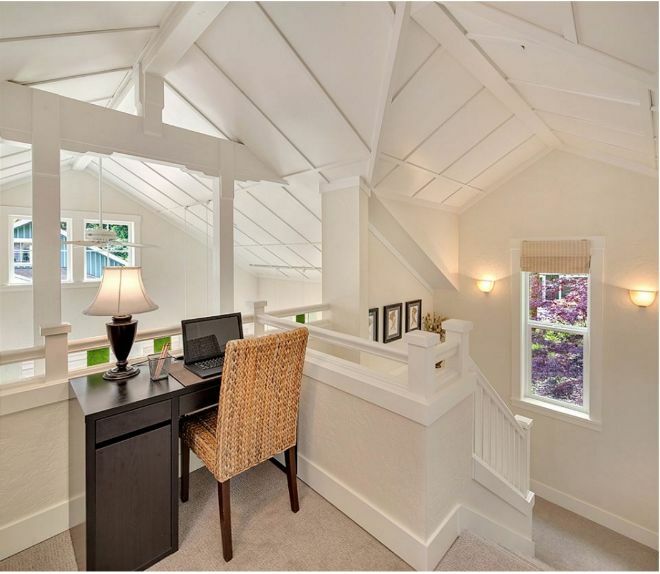 From this angle, you can catch a glimpse of the loft, which we will tour in detail later. 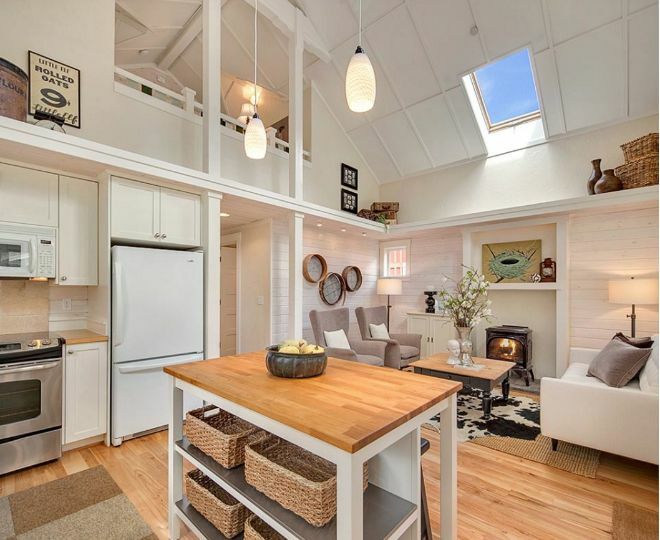 We cannot get over how high these ceilings are, nor how bright and cheery this cottage is. 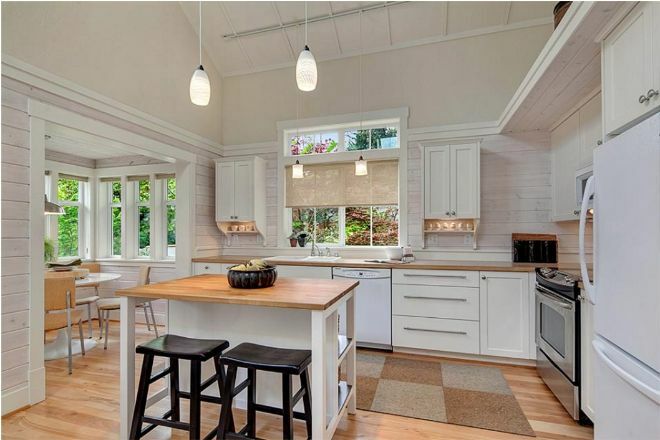 The full-size kitchen has everything the avid chef needs, including an island for extra space while preparing meals. 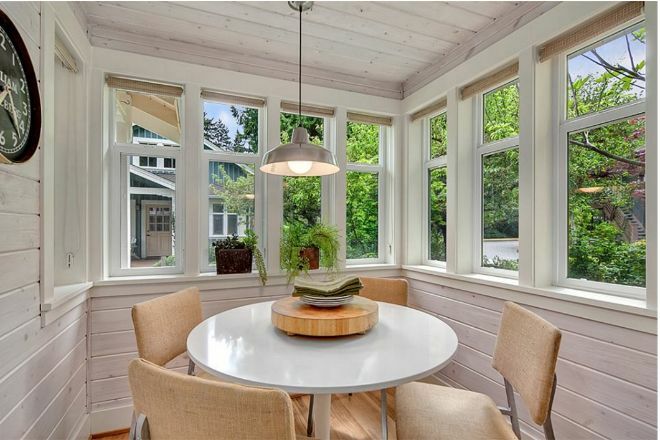 It would be impossible to be in a bad mood while eating in this cozy dining nook. 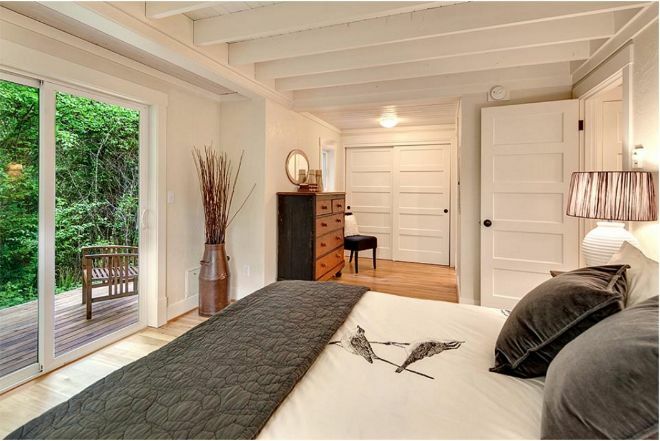 This is the master suite, located on the main floor. 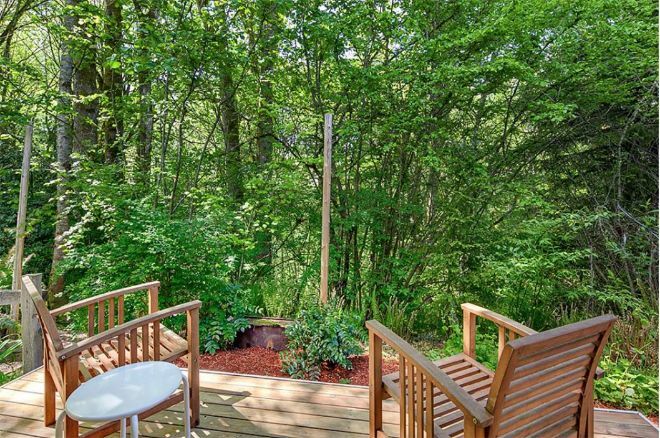 As you can see, the room opens to a private deck overlooking the woodlands. 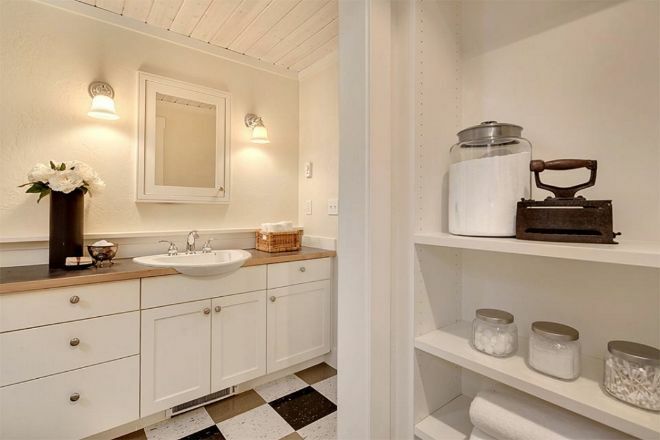 Not only is this bathroom beautiful, but it also houses a full laundry. This is the view from the loft. 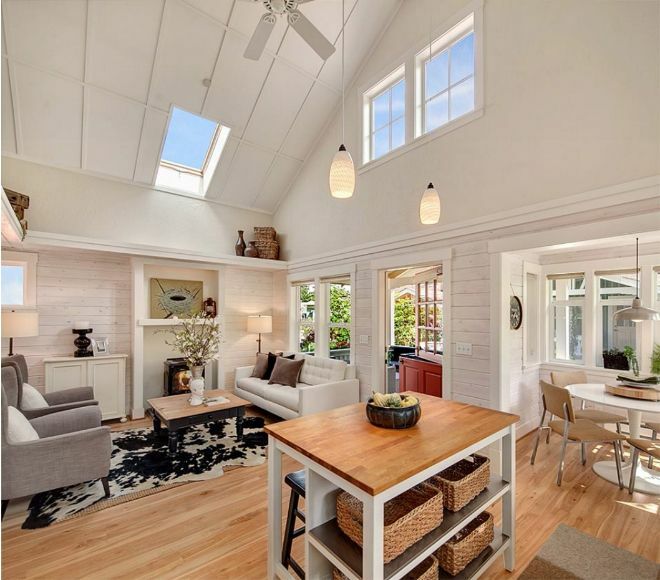 Seriously, how stunning are these vaulted ceilings? 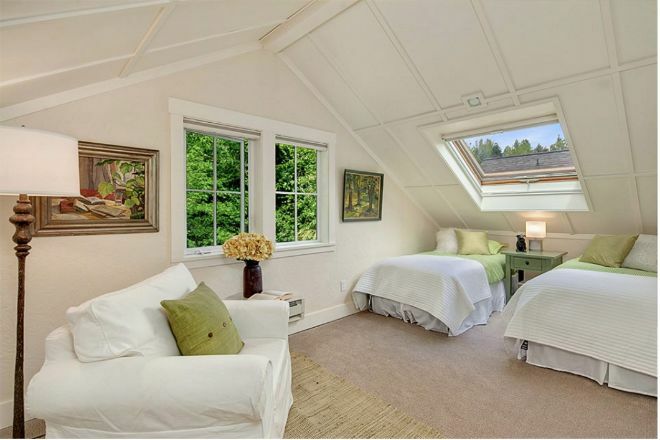 But it can also double as an extra bedroom or sitting area. And look: another skylight! 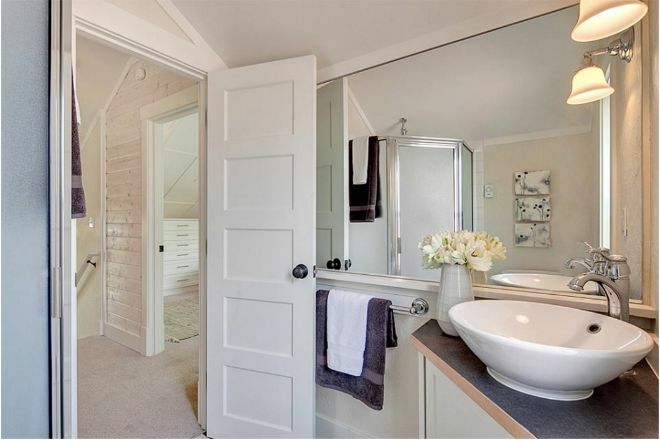 The upstairs also has a 3/4 bathroom, making it convenient if you happen to have guests staying over. All that's left to do is sit back, relax, and bask in the glory of the impossibly green landscape. 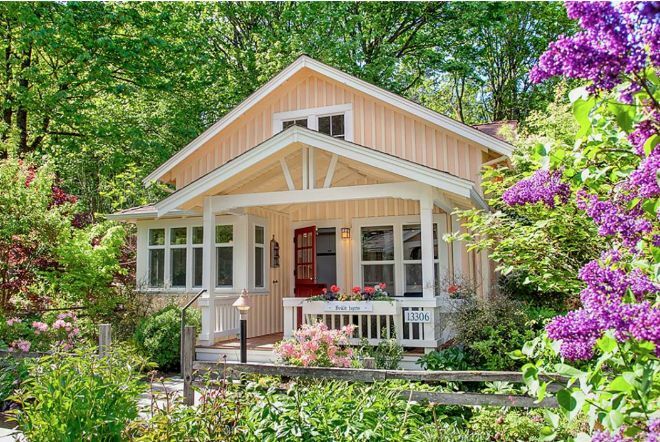 Don't forget to SHARE this charming cottage with your friends!